This week I decided to embark on a new challenge. Ordering made to measure clothes online! Not for me, though! My husband is a terrible shopper and I wanted him to enjoy a new shirt. He wears one every day but he really doesn’t enjoy buying new ones. So I decided to come to the rescue! We often exchange gifts. Normally I get him socks. And he gets me chocolate! But this time I wanted to get him something different. 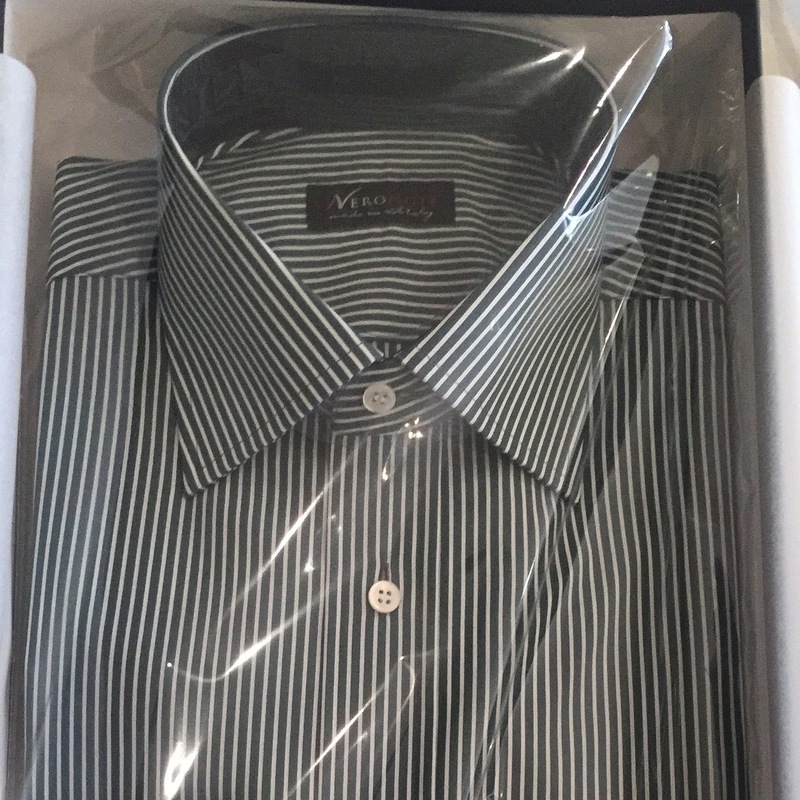 Our son is the content manager of Neronote – a company that makes made-to-measure Italian shirts. So I thought this was a great opportunity to order him a shirt. It’s a great website. And very easy to use! I chose every element of the shirt to suit him. I know that he likes striped shirts and I thought that he would like the angled cuff. I don’t know. I just had a feeling! This week has also been busy on my many social media accounts. I’m not very good at managing them but both of my sons say that I’m doing well! I want to tell you about Squirl – Squirl has created a brand new way to discover your next read which might be literally around the corner. Squirl bridges the gap between books and the real world. The places you pass by become portals into the stories unfolding right where you are standing. It is an app where you can input all the locations of your book and tag it across the world. It’s great to see There is Always More to Say appear in the locations in which it was set. The app allows the author to connect with their audience on a whole new level. Use their free author tool to bring the characters and places from your book to life right in front of your readers. That’s what I’ve done. The recent change in weather is showing us that spring is right around the corner. My garden is seeing the return of the daffodils I planted last year. Which I find really exciting. The tulips aren’t in bloom yet. But they’re on their way. Easter is around the corner. One of my favourite times of the year. All those chocolate Easter eggs! And of course the Annual Easter Egg Hunt. So there’s a lot to look forward too! That’s all for this week. We’re off to a Golden Wedding Anniversary party tonight. I’m really looking forward to it. My sister and I were bridesmaids at the wedding fifty years ago when we were nine and seven respectively! I’ve still got the necklace that the bride and groom gave me as a present all those years ago. And I’m going to take it with me tonight to party. My writing is coming along. It’s been much slower than I would ever have anticipated. But it’s not a race. And I’m happier with the way things are beginning to come together. Thank you to those readers who have contacted me with questions about There Is Always More To Say. I absolutely love answering them. So please continue to ask away! That’s all from me for now. Have a good couple of weeks.